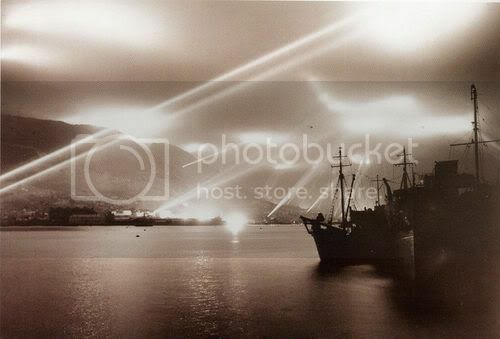 I found this photo while searching the internet, the caption says it was taken at Gibraltar during WW2. I assume this would have be early in the war? Note how the seachlight reflection off the clouds illuminates the harbor. This will aid whom? The machine gunners looking for Italian frogmen in the water. the Rock was supposssed to have good artillery emplaced in caves all over the place... does anyone know what kinds of guns and how many? Great photo. But all I can think about are those poor rock apes having insomnia with all those lights commotion. I cannot give figures but if the Navy and Marines had anything to do with it.......ENOUGH!!! They certainly had some 14" guns. The reason I know that is that Tynemouth castle was trying to get some to rebuild its WW2 coastal defences as a museum. I don't think they managed to get one but they do have some smaller guns which are quite impressive. All times are GMT-5. This page was generated at 09:25.